Okay, so you have decided that it is time for you to have a gorgeous kitchen for your home. HGTV shows have taken their toll and now you want a kitchen that will have guests yellow with jealousy. While that is all well and good, you can’t barge into your kitchen, starting destroying things, and expect it to work out. Remodeling takes time, money, and a heap of patience — actually more money, but you get the point! Because remodeling a kitchen can be such an expense, it is important that you know all that you need to before you embark on your project. Luckily, we are here to help! Miami Best Contractor is here to give you pointers on how to make your kitchen the talk of all social circles. With our three-part series, we can give you a run-down of all the elements of your kitchen you need to think of prior to your remodeling project. But we won’t just talk about what to think about, we will also go over which ways to can save as well. In an ideal world, we would all get exactly what we wanted, price tags be burned! But, in reality, the price tag of a kitchen feature can mean the difference of getting it and deciding not to install it. Because of this, you need to think wisely about what you would like to splurge on — you will, unfortunately, have to pick and choose. There are all smart splurge decisions because they have incredible uses that can be utilized again and again. Second sinks, for example, can be a savior because they will offer a secondary area to clean things off or wash your hands. If you live in a house full of family members, you can guarantee that the sink will always be full of dirty dishes. Having a second sink can allow you to multitask, without having to constantly clean everything out of your sink before cooking. And, while you are splurging on a second sink, make sure that you also put in more money to get a large sink. Bigger sinks will allow you to fit more within the sink basin and hold more items when you are cooking a large feast. All of these features only rack up your overall bill and don’t do much in terms of the use of your kitchen. Save your money and spend it on things that will enhance your kitchen experience. Everyone wants to save money. Anyone who doesn’t, obviously doesn’t understand the concept of income. 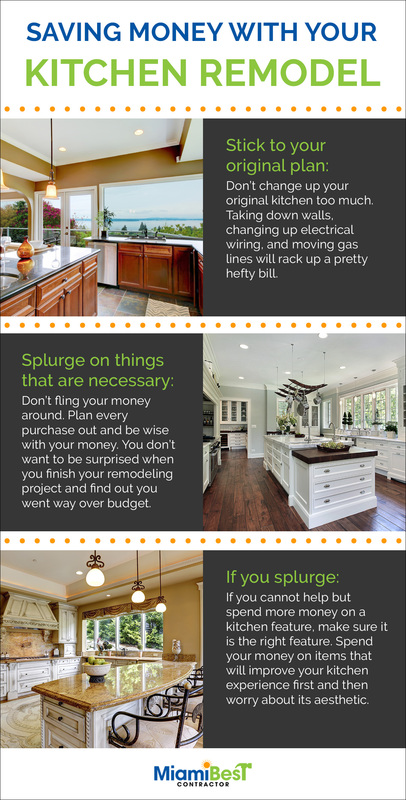 When designing your kitchen remodel, you want to stay within your budget. Making wild purchases and not adhering to a preformed plan will lead to chaos. Stay on target and make sure you stick to your original plan. One of the best ways to save money with your remodel is by sticking to your kitchen’s original blueprint. Many times, the skeleton of a kitchen is gorgeous and it just needs new elements installed to spruce it up a bit. Knocking down walls and changing electrical lines will spike your ending remodel bill, so it is best to stay clear of changing too much of your original kitchen. 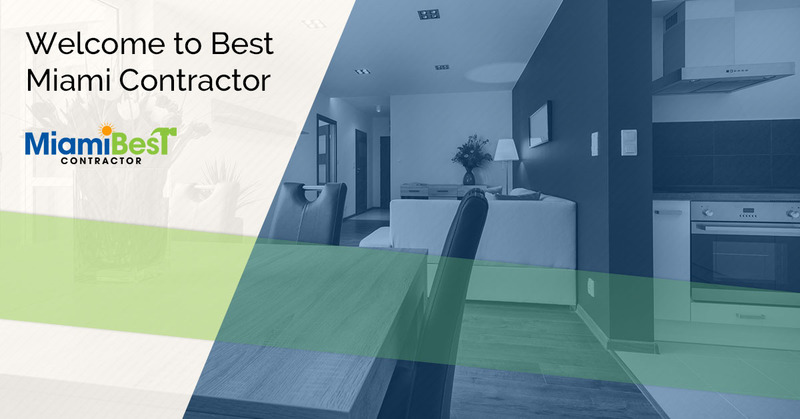 If you are interested in a remodeling project of your own, contact Miami Best Contractor today. We can assist local Miami households and make sure that their kitchen remodeling projects go off without a hitch! Contact us today for our services.